You can discover Tanzania's varied plant and animal life on a tour of Ngorongoro Conservation Area, a World Heritage Site known for its massive volcanic caldera. 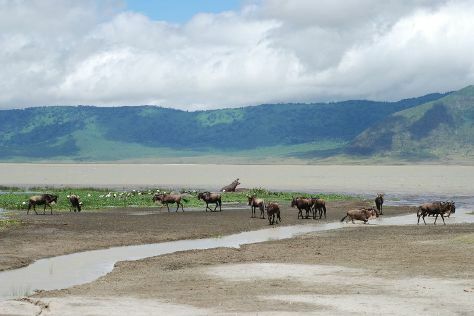 Kick off your visit on the 29th (Mon): explore the striking landscape at Ngorongoro Crater. To see maps, reviews, ratings, and tourist information, refer to the Ngorongoro Conservation Area tour itinerary builder website . Barcelona, Spain to Ngorongoro Conservation Area is an approximately 21.5-hour flight. Due to the time zone difference, you'll lose 2 hours traveling from Barcelona to Ngorongoro Conservation Area. Wrap up your sightseeing on the 29th (Mon) to allow time to drive to Serengeti National Park. Start off your visit on the 30th (Tue): explore the striking landscape of Seronera. Here are some ideas for day two: explore the striking landscape of Serengeti National Park. 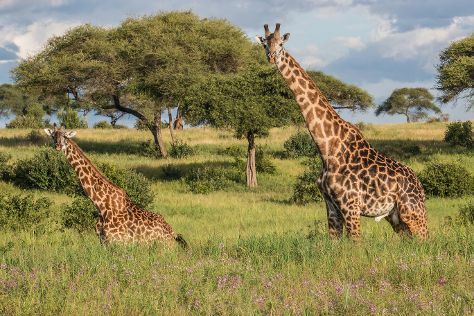 To find other places to visit, where to stay, traveler tips, and more tourist information, you can read our Serengeti National Park trip website . Traveling by car from Ngorongoro Conservation Area to Serengeti National Park takes 4 hours. Finish your sightseeing early on the 31st (Wed) to allow enough time to travel to Tarangire National Park. Kick off your visit on the 1st (Thu): take in the dramatic natural features at Tarangire National Park. To see more things to do, ratings, photos, and other tourist information, you can read our Tarangire National Park driving holiday planner . You can do a combination of flight and taxi from Serengeti National Park to Tarangire National Park in 4 hours. Alternatively, you can drive. In July, plan for daily highs up to 24°C, and evening lows to 17°C. Finish your sightseeing early on the 1st (Thu) to allow enough time to fly to Kilimanjaro National Park. 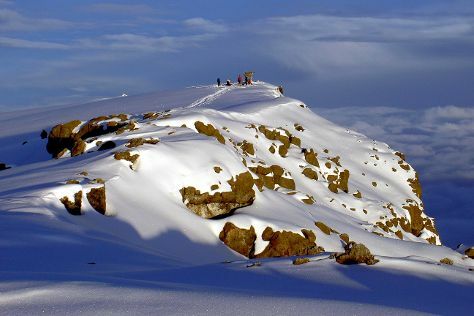 On the 2nd (Fri), take your sightseeing to a higher altitude at Mount Kilimanjaro. To see more things to do, reviews, where to stay, and tourist information, use the Kilimanjaro National Park route builder tool . Traveling by flight from Tarangire National Park to Kilimanjaro National Park takes 2.5 hours. Alternatively, you can do a combination of taxi and flight; or do a combination of flight and bus. Wrap up your sightseeing on the 2nd (Fri) early enough to travel to Pemba Island. Start off your visit on the 3rd (Sat): tour the pleasant surroundings at Ngezi Forest Reserve and then identify plant and animal life at Misali island. 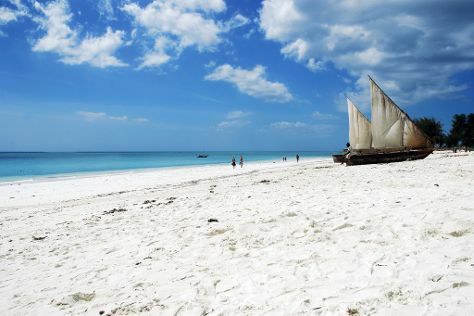 Keep things going the next day: head off the coast to Pemba Island and then enjoy the sand and surf at Vumawimbi Beach. For maps, traveler tips, photos, and more tourist information, go to the Pemba Island trip planner . Traveling by flight from Kilimanjaro National Park to Pemba Island takes 3.5 hours. 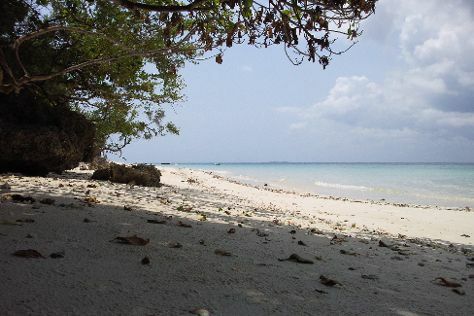 In August in Pemba Island, expect temperatures between 30°C during the day and 30°C at night. Finish your sightseeing early on the 4th (Sun) so you can travel to Nungwi. Renowned for its sandy coast lined with mangroves and palm trees, Nungwi offers visitors a variety of restaurants, bars, and accommodations. Kick off your visit on the 5th (Mon): see some colorful creatures with a scuba or snorkeling tour and then enjoy the sand and surf at Nungwi Beach. Get ready for a full day of sightseeing on the next day: stroll through Mnarani Marine Turtles Conservation Pond and then kick back and relax at Kendwa Beach. For photos, more things to do, reviews, and other tourist information, read Nungwi trip builder tool . Traveling by combination of taxi and flight from Pemba Island to Nungwi takes 2.5 hours. While traveling from Pemba Island, expect somewhat warmer days and slightly colder nights in Nungwi, ranging from highs of 34°C to lows of 26°C. Cap off your sightseeing on the 6th (Tue) early enough to go by car to Paje. 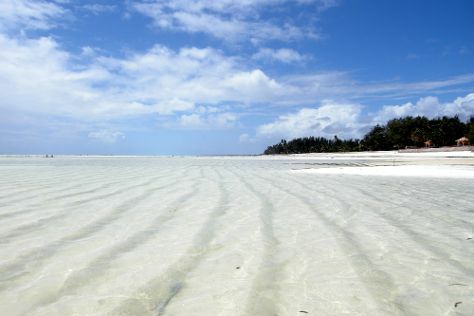 Located on the island of Unguja, the quaint village of Paje lies on a shallow sandy lagoon, which attracts swarms of kitesurfing enthusiasts and marine life lovers. On the 7th (Wed), tour the pleasant surroundings at Jambiani Beach and then tour the pleasant surroundings at Paje Beach. On the next day, find your balance on the water with some of the best stand-up paddleboarding in the area and then enjoy the sand and surf at Uroa Bay. To see other places to visit, where to stay, reviews, and other tourist information, use the Paje day trip app . Drive from Nungwi to Paje in 2 hours. In August in Paje, expect temperatures between 34°C during the day and 26°C at night. Finish your sightseeing early on the 8th (Thu) to allow enough time to travel back home.